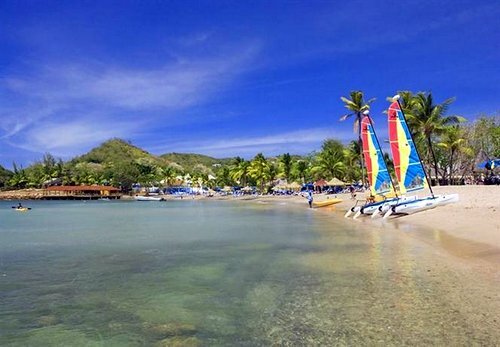 Looking for some great St Lucia all inclusive resorts options? 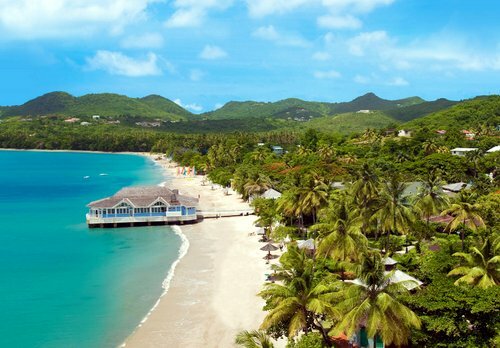 We've found and reviewed the best St Lucia resorts. St Lucia is in the Windward Islands. These are right at the southern end of the Caribbean. Despite this tropical location there are fresh trade winds outside of summer. Hewanorra International Airport and George Charles are the main airports which bring in guests from the USA, Canada and Europe, on Virgin Atlantic, British Airways, Jet Blue, and Westjet Flights. St. Lucia is certainly an island to put on your all inclusive bucket list. The exotic volcanic mountains and valleys with their rich vegetation make for a spectacular location. Additionally, an exciting multicultural tropical vibe, makes this a pretty special place to visit. The cultural legacy and heritage is somewhat derived from a mix of local, British and French history. This multiculturalism is reflected in a lively and diverse cuisine. Many tourists come for the couples and adults all inclusive resorts. 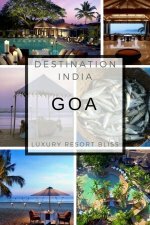 The industry has grown and flourished and those seeking out lavish resorts will find great offerings. 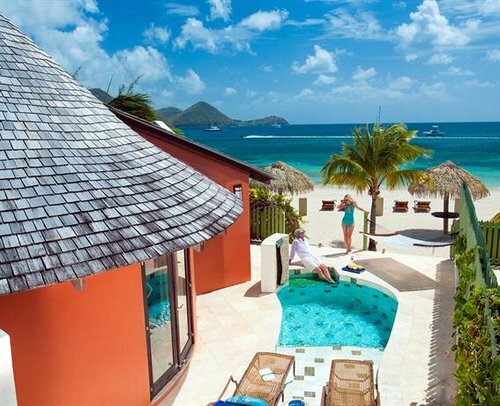 The all inclusive and luxury resorts in St Lucia are quickly becoming known as the best in the Caribbean. Every now and again you come across a resort that is that bit more special than a lot of the others. 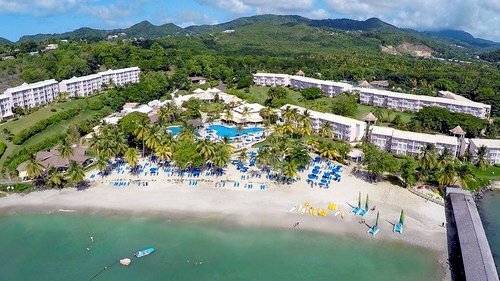 The BodyHoliday St Lucia All Inclusive is that type of resort. The resort features are impressive. It is set on a pristine white sandy cove beach in the forest. It's an impressive place for the "body and mind". The staff have an impressive list of credentials ranging from distance olympic runners, nutritionists, to holistic practitioners. In fact, the Spa area of this resort is constantly appearing in published lists of the world's best spa facilities with Condé Nast Traveler recently putting it at the top of their list. This outstanding adult resort (and summer all-rounder) is close to St. Lucia's northern tip. Enjoy spa treatments, water sports, fitness classes, restaurants, buffets, and a variety of classy activities by well trained staff in an environment designed to deliver a well-rounded, healthy, holistic vacation. Once a well kept secret until it turned up at number 1 on the TripAdvisor best all inclusive resorts in the world list. That's right, according to guests themselves and more than 300 outstanding reviews, this is the resort that came out on top in 2012 and has stayed there. The resort is well established on the islands with mature gardens on one of the prettiest coves. Easy to see why people like it. Sandals Regency La Toc is regarded by Sandals themselves as one of their flagship best resorts. 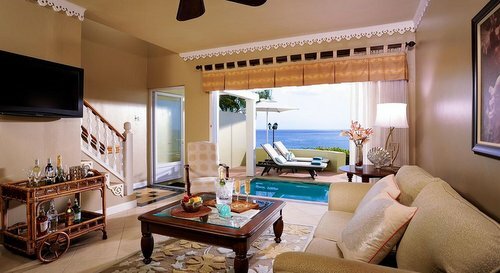 Certainly this is one of the best resorts in the Caribbean and possibly the best in St Lucia. You could not fault the position on a gorgeous moon shaped beach with the mountains towering up into the sky nearby. Enjoy top class golf and "Diamond" cuisine. 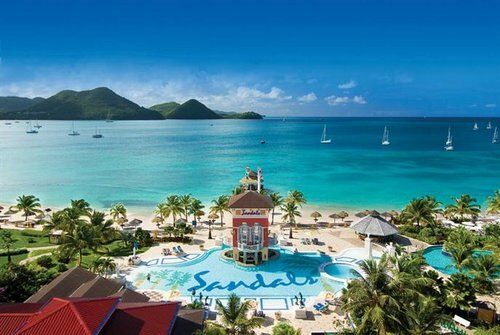 Sandals has a "Play at 3" policy at it's St Lucia resort which means if you stay at one Sandals Resort you get to enjoy a whole host of facilities at other resorts. How many other all inclusive programs offer a range of 27 restaurants? In addition, you can also enjoy a greater variety of diving and entertainment options across the three resorts. 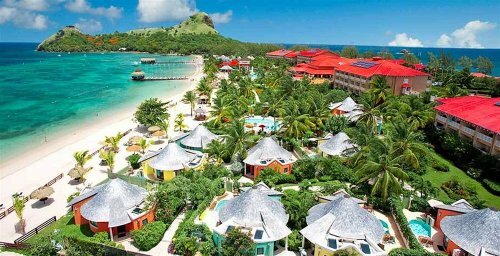 - Sandals Halcyon Beach St. Lucia. Vacation at a Sandals Resorts in St. Lucia. The first Sandals in St. Lucia amongst lush gardens bordering the calm Caribbean Sea. Built naturally into the environment with classic Caribbean architecture and gingerbread cottages. Surrounded on both sides by the Atlantic and a mile of calm beachfront. The scenery is impressive as volcanic mountains rise up from the clear blue waters in the foreground. Afternoon buffets, aquatic activities, fresh water pools, a swim-up bar, a lagoon pool, eight international restaurants and great entertainment make this a top luxury choice for St. Lucia. Take the time to look at some of the classic video and images on this page of this 27 mile long volcanic paradisaical island that rises spectacularly over 3000 ft above the white sandy beaches and bays. This family friendly all inclusive resort is on the southern-tip headland at the Atlantic Ocean, Caribbean Sea meeting place. There are 3 pools, a wonderful water park with lazy river and slides, restaurants, a buffet restaurant and a day/night children's club included. Most amenities, meals, drinks, activities, gratuities, and water sports equipment and activities are included. There is also a good children's club with activities. 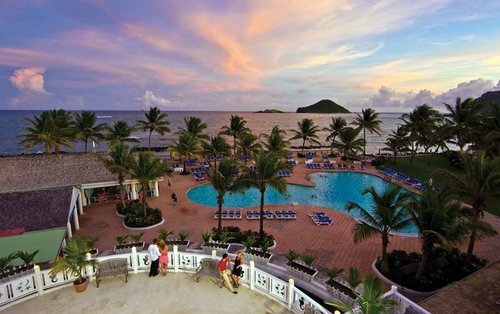 This all inclusive St Lucia resort is on 45 acres at the tip of St. Lucia, facing a Caribbean cove. You can enjoy kids club, meals at 4 restaurants, bars, motorized and non-motorized water sports and the use of six outstanding pools. 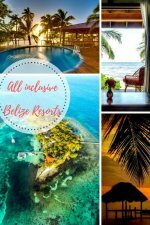 For more in the Caribbean, visit our Caribbean all inclusive page or cheap all inclusive vacations page.